Beam me up, Host Defense! Paul Stamets’ mushroom products help people and the planet live long and prosper. Since Captain Kirk and Mr. Spock first boldly went in the 1960’s, the many iterations of Star Trek have been part of popular culture. Countless viewers mentally time traveled to a future where humanity thrives and spreads to the stars. The current Star Trek Discovery has its own unique time-travel twist. One of the lead characters, astromycologist Lieutenant Commander Paul Stamets, is the 23rd-century version of a genuine 21st-century namesake, the legendary mycologist Paul Stamets. The contemporary Paul Stamets is the founder and president of Fungi Perfecti, makers of the Host Defense line of mushroom-based nutritional supplements sold here at People’s Food Co-op. 23rd-century Lt. Stamets harnesses fungal power to create a “spore drive” that can instantaneously transport the Discovery across vast reaches of space. 21st-century Paul Stamets is the author of half a dozen books on mushroom cultivation, mushroom identification and the use of fungi to improve human and planetary health. He is also the holder of a dozen fungal-related patents. Stamets is dedicated to utilizing the power of mushroom-bearing fungi to help reverse the damage humankind has wreaked on our ecosystem so we can survive until the 23rd century. Host Defense is part of that effort. The mushrooms we are familiar with are the visible parts of larger organisms. They are “fruiting bodies,” the reproductive organs of subterranean fungal beings comprised of mycelium – cobweb-like networks of cells that extend beneath the surface, exchanging nutrients and engaging in symbiotic relationships with the myriad plants, bacteria and other beings that make up living soils. Found in soils, and decomposing vegetal matter from forest floors to compost piles, mycelium networks are ubiquitous upon the Earth. Stamets believes that mycelium networks embody a planetary intelligence. Stamets has made it his life’s mission to partner with fungal intelligence to create solutions to some of the existential environmental challenges we humans have created. He is the originator of the emerging field of mycorestoration, the applied use of fungi to repair and restore weakened and compromised ecosystems. This includes mycofiltration (using mycelial mats to remove pathogens and chemical pollutants from water), mycoremediation (using fungi to degrade or remove toxins from contaminated soils), and mycopesticides (using fungi to both attract and kill insect pests including termites, carpenter ants, and disease vectors like mosquitos and flies). Host Defense harnesses mycelium power by taking pure fungal strains, inoculating them onto an organic brown rice substrate, and growing them under strictly controlled conditions at their Washington State production facility. During the growing process, enzymes in the mycelium break down starches and sugars in the brown rice substrate, forming complex substances with their own complimentary immune-enhancing benefits. Once harvested, the mycelium, the digested brown rice substrate and, in some cases, the fruiting bodies and/or primordia are then processed for maximum effectiveness. The mushroom products in Host Defense capsules are carefully heated to release their active compounds, then freeze dried. The mycelium in Host Defense extracts and sprays go through a two-step alcohol and cold water extraction process. Those containing fruiting bodies receive an additional hot-water extraction. Host Defense mushroom products are certified organic. They use mushroom fruitbodies and mycelium that are sustainably cultivated, protecting wild species and their environments. A portion of proceeds from Host Defense sales are devoted to saving rare strains of mushrooms that dwell within old growth forests and supporting ongoing research initiatives, like the BeeFriendly Campaign to help preserve endangered pollinators. The processing, extractions, and formulations of Host Defense products are state of the art, drawing on Paul Stamets’ four decades of experience as a pioneering mycologist. Your purchase of Host Defense products helps Paul Stamets and Fungi Perfecti in their work to build a healthier world with the power of mushrooms. To learn more about Paul Stamets and his pioneering work on the environmental and health benefits of mushrooms and fungal mycelium, check out his TED Talks on YouTube. To meet Lt. Commander Paul Stamets of Starship Discovery, go here. Decolonizing Turmeric with Diaspora Co. The prospect of building alternatives to totally unjust food systems built on the exploitation of people and the land for the benefit of a handful of corporate executives is… really daunting. Lucky for all of us, Sana Javeri Kadri wasn’t too intimidated to take on the spice industry. Sana founded Diaspora Co. turmeric in the summer of 2017. A year before, after graduating from college, she had seen turmeric exploding in popularity and questioned who was benefiting from this boom. So Sana flew home to India to find farmers growing turmeric to start her own single origin spice company. At first, finding a farmer that was growing exceptional turmeric using sustainable growing methods was harder than Sana anticipated. Many turmeric farmers, stuck in the cycle of industrialized agriculture, spray their turmeric crops with pesticides. Thankfully, Sana connected with the Indian Institute of Spices Research, who had both seeds for heirloom turmeric and connections with farmers that were willing to grow it for her. Sana ended up partnering with Mr. Prabhu, a fourth generation turmeric farmer who grows his turmeric without the use of pesticides and is in the second year of the organic certification process, which takes three years. The heirloom turmeric that he grows requires less water and is higher in curcumin, the chemical that makes turmeric so yellow and delivers the spice’s health benefits; about 4.6% compared to less than 2.5% in most commercial turmeric (if it has any at all). Diaspora Co. turmeric is also super fresh. Batches of turmeric grown in the last year are milled three times annually which is great for making sure that turmeric’s floral flavor is intact and helps maintain the curcumin potency. Mr. Prabhu’s farm is run by his family except during the harvest season when he pays the workers he hires considerably more than neighboring farms. All of this is reflected in the price that Diaspora Co. pays him for his turmeric: $1.50 to $1.50 per pound, which is significantly higher than the market rate of 15¢ per pound. But that’s not even all of it. As a queer woman of color, Sana wanted to be sure to make social justice a central part of Diaspora Co. Paying Mr. Prabhu so much more than the conventional spice market and prioritizing heirloom, organic turmeric is part of that. Those efforts work to decolonize and disrupt the corporate spice trade, with its history mired in colonial conquest. Paying Indian farmers generously also creates a less exploitative system of buying and trading an indigenous, culturally significant crop. Sana is also always looking at other ways to make Diaspora Co. radically inclusive in everything from hiring to business operations. That means hiring queer folks and people of color and deciding to pack all of the turmeric in-house instead of hiring a larger packing company to do it for her. It also means wrestling with decisions like selling Diaspora Co. on Amazon and being transparent about why. When I get down thinking about just how bad our food system is and all of the powerful structures that keep it in place, companies like Diaspora Co. give me a little faith that we can build systems that are better for people and the planet. The only question is, how can I eat way more turmeric? Luckily, Diaspora Co. compiled a sweet zine of recipes, including the two hot beverages below. This little recipe finally convinced me to put butter in my coffee, and now I am a zealot! It tempers the effects of the caffeine and is gentler on my guts. The Ancient Organics ghee is particularly delicious and offers delicious nutty notes. If you don’t have a blender, I’ve found that vigorously shaking this mixture in a mason jar (wrapped in a towel I don’t mind staining with turmeric) works pretty well. Add your hot coffee to the blender along with the ghee, turmeric, sweetener of choice, and non-dairy milk. Add a pinch of cardamom if you’re feeling like it! Give it a quick high-powered blend (about 30 seconds), just to make sure the ghee emulsifies and the mixture becomes foamy. If you over blend, you risk the fat separating, which will give you a weird gloopy drink. Gloopy drink woes can be remedied by adding a splash more boiling hot water or coffee to the blender to melt the ghee back into the mixture. Pour the ghee coffee into a mug and enjoy! Add the ginger to a saucepan over medium-high heat, along with the turmeric, lemon juice, apple cider vinegar, and water. Bring the mixture to a boil. Allow it to simmer for 2-3 minutes to steep and infuse the ginger and turmeric. If you are sick or want a more fiery and strong tonic, increase the heat back up to medium high and bring the mixture to a rolling boil, reduce the heat and allow it to simmer for 2-3 minutes. Repeat the process of boiling and simmering three more times. Then strain the liquid into a mug and enjoy! Herbal infused syrups are concentrated herbal teas, preserved in sugar or honey. Historically, herbal syrups were used to sweeten the taste of bitter medicinal herbs to make them more palatable and prolong preservation. They are a versatile alternative to alcohol-based tinctures for children or people avoiding alcohol. The classic herbal syrup many of us employ during cold & flu season is elderberry syrup, used to stimulate immune function and fight infection. Herbal infused syrups can be made for both medicine or for flavoring. Syrups can be added to teas, cocktails or mocktails, made into herbal sodas, or simply eaten by the spoonful with delight. It is a fun and creative process: let your favorite sweet flavors guide you! For adults, add a tablespoon of this syrup to hot tea, a hot toddy, sparkling water for an herbal soda, spoon over ice cream, or simply eat by the spoonful. Adjust dosage to 1 teaspoon for children. This herbal syrup can be used to prevent a cold, or used during an acute cough or sore throat to soothe and increase recovery time. Syrups can be a great alternative to alcohol-based tinctures for children and people avoiding alcohol. They are also fun and delicious! Elecampane root is an expectorant, supporting the respiratory tract move excess mucus out of the system. It is also rich in inulin, a prebiotic that supports beneficial gut flora. Other herbs & spices bolster the immune system while adding a delicious earthy spiced flavor. Bring 1 quart of water to a boil in a medium size pot. Add the herb and spice mixture to the pot of water, and reduce heat to a simmer. Maintain a simmer while stirring occasionally, until liquid is reduced to about 2 cups. Strain herbal infusion and return it to a clean pot. Add 1-2 cups of sweetener to the pot with strained herbal infusion. Dissolve the sugar or honey on low heat, stirring to ensure the pan doesn’t scorch. Once the sugars are completely dissolved, transfer syrup to a jar or bottle. Store herbal syrup in the fridge for up to 6 weeks – but it is unlikely it will last that long! This heart-opening blend is both delicious and tonifying to the heart and circulatory system. The sweet and spicy flavors of peppercorn, damiana, fennel cardamom, rose, and vanilla open the senses to joy, pleasure, and possibility. Together, these herbs open energetic and circulatory pathways to allow creativity to flourish. Curating the wine selection at People’s is so much fun, but not always easy. As the alcohol buyer, it’s my burden to make challenging choices between a beautiful world of all the wines I want to carry, and the limited space we have in the store for them. I am guided by one principle which you, loyal wine enthusiasts, have repeatedly asked for in the selection: organic wines. Customers, Member-Owners, and staff often approach me with the question, “Why aren’t there more organic wines at People’s?” It turns out that many of the wines in our selection are made from grapes grown organically, but you wouldn’t be able to tell with a cursory view. Over the years I have cultivated relationships with vendor partners at People’s, who I meet with regularly to try out new bottles for our selection. These vendors know in advance that the wines I’m interested in need to meet the Co-op’s buying guidelines; non-GMO, vegetarian/vegan, and organic, whenever possible. They also need to be affordable to most of the people who shop here. As a result, there are many bottles on the shelf that contain organically grown grapes, and many others which also qualify as Biodynamic (a process of land stewardship that takes organic farming to the next level.) Montinore Vineyards of Forest Grove, OR, the largest organic and biodynamic vineyard and winery in the country, is strongly represented. There are other French and Italian bottles which also come from wine growing regions where organic farming has been a standard since long before the authorities gave it a name. Why, then, aren’t these wines labelled clearly with a USDA “Organic” certification label, so that customers can readily see that information? The two most prominent answers are sulphur-dioxide, and economies of scale. As a food ingredient, Sulphur-dioxide, or SO2, is used in preserving dried fruit. “Sulphurized” fruits retain more of their original coloring, and are generally shelf stable for longer periods of time. The addition of SO2 to food is considered by the USDA to be too much human intervention to qualify a product as organic. Thus, you will never find organic yellow raisins, or organic bright orange dried apricots. In the world of wine making, sulphurization is very common. Fermented grapes, like most fruit, contain naturally occuring levels of sulphur. Winemakers will add SO2 to wine as a stabilizing agent. Because wine must often travel great distances, be stored in multiple settings, sometimes at fluctuating temperatures, sulphur plays an important role in preserving the wine between winery and consumer. Many wineries, such as Montinore, are certified organic, but also add SO2 to the finished product for quality control reasons. In contrast, you will find a select few bottles in our selection which do have USDA organic labels. These are produced by Frey Vineyards, of California. Frey sources grapes from Certified Organic vineyards, but they refrain from adding sulphur-dioxide to the finish product. Because the addition of SO2 disqualifies U.S. wines from organic certification, many winemakers bypass the certification altogether. Emphasis on quality control and brand consistency outweigh the marketing advantage of a USDA Organic symbol, even if the vineyard goes to great lengths to grow grapes organically. Furthermore, wine is unique in agriculture in that many consumers travel at length to visit the places where the grapes are grown. This exposure to the fields and techniques of wineries, generates a wine enthusiast culture in which growing methods must be of high caliber in order for wines to be valued as exceptional. This winter, I invite you to try out some of my favorite wines featuring organic and biodynamic grown grapes! It's hard to find a Pinot that reflects its place, is farmed biodynamically, and offers such complexity at this price point. Made to drink now, as a "go to" wine, but you'll feel like you're drinking a special occasion bottle. Plush red fruit, fine tannins and round texture. Delicious and balanced, and can pair with everything from savory slow cooked beans to fresh seasonal vegetables. An approachable blend of family-farmed grapes. Bright garnet hue with a sturdy structure and grippy character that has a remarkable ability to pair with most foods. Gather around the table or fireside and enjoy a smooth, lingering finish. Exceptionally fragrant and fresh, but not at all a light wine, it offers surprising richness on the palate with a savory, creamy freshness. All of Troon's vineyards are Certified Salmon Safe, and they are currently in transition to organic and biodynamic certification. An incredible expression of Southern Oregon winemaking. In the beginning, there was Tabasco. Throughout most of the 20th century, supermarket shelves offered few other alternatives for folks that wanted more heat to their eats. But as diverse communities grew and thrived in this country, and as more eaters began sampling cuisines from all over the world, their palates were exposed to the distinctive burns of pepper sauces from Asia, Central and South America, and Africa that they may not have experienced before. Today, Tabasco Sauce shares the condiment shelf with hot sauces such as Thai Sriracha, Mexican Cholula, Korean Gochujang, as well as a selection of the hundreds of other hot sauces that have hit the market over the past couple decades. Stinging Kombucha Hot Sauce was created by Portland chef Karel Vitek. For thirteen years, he and his wife Monka ran Tabor, a famed downtown food cart serving what Karel describes as Czech “grandmother” food, traditional goulash, stews, and dumplings. But as he was serving up food whose zingiest ingredients were black pepper and Hungarian paprika, Karel developed a taste for hot sauce. Starting with Tabasco, he kept searching for more and more heat, but while his taste buds craved the burn, his gut paid the price. Most hot sauces consist of roasted peppers and other ingredients in a vinegar base. As Karel’s palate developed an increasing tolerance for pepper heat, the unpleasant sour of the vinegar began to dominate. More than a decade ago Karel began to experiment with kombucha as a hot sauce base. Kombucha is by far the most popular product in People’s Food Co-op’s beverage coolers, with 10 different brands and over 30 different flavors. These products all begin with sweetened tea fermented by a symbiotic culture of bacteria and yeast (SCOBY). Kombucha beverages are tangy, naturally effervescent, and are touted for their probiotic, antioxidant, anti-aging, and anti-inflammatory benefits. Karel is definitely a kombucha believer and extols these benefits on the Stinging Kombucha website (kombuchahotsauce.com). But kombucha’s unique sweet/sour flavor and living nature are what inspired him to build his hot sauce around it. “A mature kombucha has about the same pH (acidity) as vinegar, but has sweetness and is less bitey and obtrusive. It doesn’t leave the sour aftertaste vinegar does,” Karel notes. Since kombucha is a living, fermenting process, its sweet to sour ratio changes over time as its sugars are consumed. This gave Karel plenty of opportunity to experiment with different acidity levels. During the first year or so of the development process, it also left him with plenty of messes to clean up when early iterations of his recipe burst in the refrigerator as fermentation ran out of control. After years of experimentation, he settled on a three-step fermentation process. First, ferment the kombucha to the point where just about all the sugar is digested and the culture is practically dormant. Next, revive the culture by adding a melange of four different carefully roasted hot pepper varieties and allow this mixture to ferment to near dormancy. Then, add the final ingredients, bottle the not-quite-finished product and chill it, allowing Stinging Kombucha Hot Sauce to continue a slow fermentation process while under refrigeration. It matures and develops more flavor and depth as it waits in your refrigerator. What about those additional ingredients, eggplant and red-cabbage sauerkraut? The eggplant gives Stinging Kombucha Hot Sauce extra body so that it stays on your food rather than leaching through onto the plate. The sauerkraut is the result of further synergy. Dealing with a living product creates challenges for Karel’s growing business. The vast majority of hot sauces are shelf stable and inhabit the condiment section in the grocery aisles. Since Stinging Kombucha Hot Sauce must reside in the refrigerated section, it doesn’t get to grab the eyeballs of shoppers scanning the condiment shelf looking for a new flavor experience. Friends have suggested he cook his sauce down to stop fermentation and make it shelf stable. Karel won’t hear of it. He is passionate about his living, changing hot sauce. It’s hard to imagine a more vivid and flavorful example of a “living food.” Look for it in the refrigerated section at People’s, next to the kombuchas that inspired it. Nearly four years ago I started working with Farmers Market Fund to secure federal funding to increase our Farmers’ Market SNAP Match from $5 to $10. This program gives folks using SNAP (the Supplemental Nutrition Assistance Program formerly known as food stamps) extra money to spend at the Farmers’ Market, which helps both folks on low incomes and local farmers and food producers. Doubling our match from $5 to $10 seemed like a total long shot, and I wasn’t sure how the more restrictive benefits required by the federal grant would be received by our shoppers. But I figured we had nothing to lose, so I gave it a go. Unfortunately, in late 2017 we found out that our federal funding was drying up, due to the Federal Government’s increasing demand that programs be “innovative” and tech-driven, rather than simply being helpful. But it felt so important – and so good – to provide such a tangible benefit to the community, so we decided to continue funding the program in 2018 ourselves. We worked out a plan to keep offering the $10 Match, using a combination of People’s money, round-up drives at the register, and a generous donation from Farmers’ Market Fund. In late 2018, as we neared the end of our fiscal year, we were again faced with the question of how to continue funding the $10 SNAP Match. Alas, the outlook was not as good as it had been the year before. While the success of the program was certainly a boon to our shoppers and vendors, it was fantastically expensive for People’s; in 2018 we distributed nearly $24,000 in SNAP matching funds. In addition to not having adequate cash available to continue funding a $10 match ourselves, we also can not afford to pay staff to work on the intensive fundraising campaign that would be required to cover the nearly $12,000 budget shortfall. We are super bummed to have cut a benefit that we know really impacts people’s lives. More than 60 families per week have been using the SNAP Match program, and spending nearly $24,000 in matching dollars alone with our vendors. The impact of reducing the match to $5 is not insignificant, and we know some folks in our community will really feel that loss. We still believe, deeply, in the power of communities to support and take care of each other. And we believe that the Co-op has a role in building that kind of community of support & care. In 2019, we hope to find a way to bring the match back up to $10. If you have ideas or fundraising skills you’d like to share, or if you’d like to make a contribution to our SNAP Match fund, please contact me at ashley.todd@peoples.coop. We are thrilled to be able to sell wreaths made by the Mujeres Luchadores Progresistas this December! The wreaths are on sale for $40, with $35 going straight to the Mujeres Luchadores Progresistas who make 1000 wreaths each year. The wreath-making project employs at least 10 women part-time during three months in the winter, when farm work is rare and families struggle to pay for basic necessities. The money made selling wreaths goes to families’ household expenses like rent, utilities, warm clothing, food, and holiday expenses, as well as to support the year round efforts of the Mujeres Luchadores Progresistas. Creating paths through which farmworker women can provide themselves greater economic independence. You can read more about the Mujeres Luchadores Progresistas and their work by visiting their website. This might even be an opportunity to pass the hat at a gathering that you attend and start a conversation about the different causes each of these organizations seek to address. Celebration Wines for the Season of Feasts! This week, our Alcohol Buyer Ryan Gaughan put some of our favorite organic wines (and a cider, too!) on sale to help you make meals with friends and family extra special. These wines also make fantastic gifts and would be welcome at any dinner party, making it well worth your while to stock up or order a whole case for all the special celebrations ahead. These deals are all good through the end of the day on Thursday, November 22nd. We’ll also be sampling a handful of these within the next few days, so stop by and try before you buy! From certified Organic and Biodynamic vineyards. This is the best expression of Pinot Noir from the estate in Forest Grove, OR. It is high toned and elegant with a velvety texture and a lingering finish with notes of cherry, plum, spice and earthy quality. This wine drinks far higher than its price point and is good now but will age beautifully for years to come. From certified Organic and Biodynamic vineyards. This dry style Pinot Gris begins with aromatics of bright citrus and tropical fruit that lead to a firm foundation of apple, mango and a hint of savory and spice on the palate, finishing crisp and bright. From certified Organic and Biodynamic vineyards. Vivacé is Italian for, "in a brisk, spirited manner," which perfectly describes this aromatic sparkling wine full of citrus, honey, melon, and floral notes. It is fun, fresh, and vibrant with a creamy texture and bright finish. The Gewurztraminer, Muller-Thurgau, Pinot Gris and Riesling that make up this blend is all estate grown in Forest Grove, OR. Ice cider is a special alcoholic apple cider made from frozen apple juice, which concentrates the sugars and results in a higher alcohol content than other ciders. Woodbox’s Ice Cider is aged 6 months in whiskey barrels – the result is layer upon layer of dark caramel, bourbon notes, and a balanced flavorful finish. Cryo-concentrated to four times its normal strength for a warming feeling through and through. Try it in the store this Tuesday, November 20th from 3-6pm! A Washington red inspired by the Rhone valley, this blend mimics a great Cotes du Rhone. It exhibits black cherry, raspberry, baking spice, and black pepper aromas and flavors. 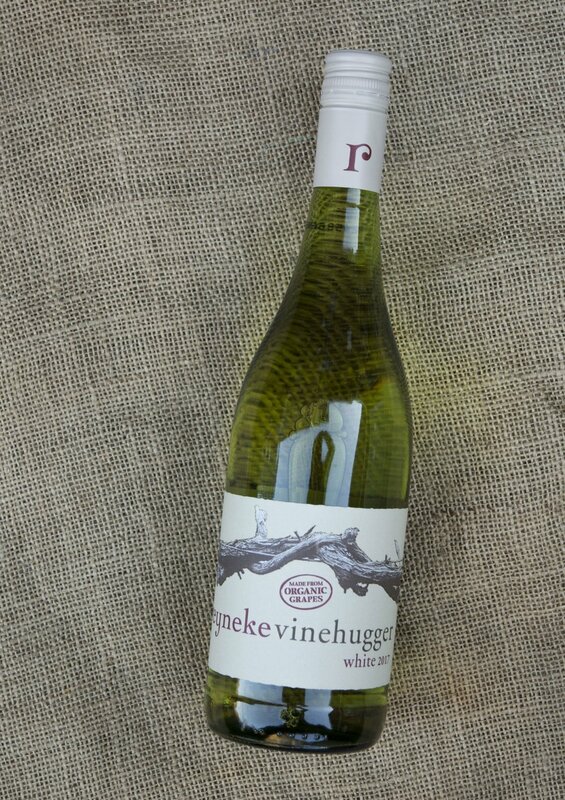 The bright, fresh finish provides a versatile wine that is compatible with many foods and occasions. This winery is Organic and Biodynamic. Try it in the store this Wednesday, November 21st from 2-5pm! Reyneke is certified organic and is the first farm in South Africa to achieve Demeter International biodynamic certification. This wine is dry and extremely food friendly, expressing notes of honeysuckle, melon, yellow apple, with a lingering minerality. 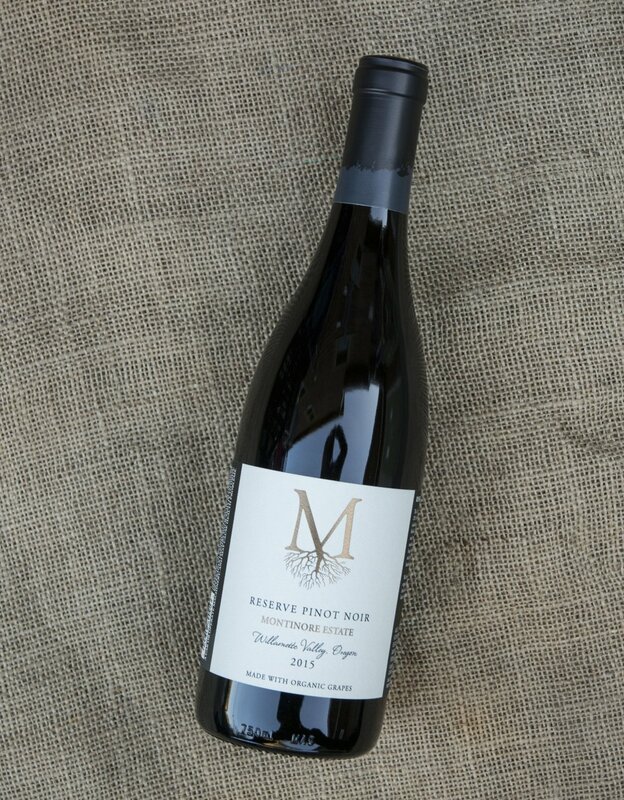 An outstanding representation of naturally made Oregon wine, this is light-medium weight with lots of complexity of strawberry, cola, and spice. It has depth and complexity that lasts long beyond the finish with velvety smooth texture. This wine will pair well with cooked grains and roasted vegetables. Apply for the Winter Craft Fair! Every December, we invite artists, crafters, and artisans to help us put on a winter craft fair in the Community Room! This year, the fair is on Wednesday, December 12th from 2-7 pm during the Farmers’ Market. 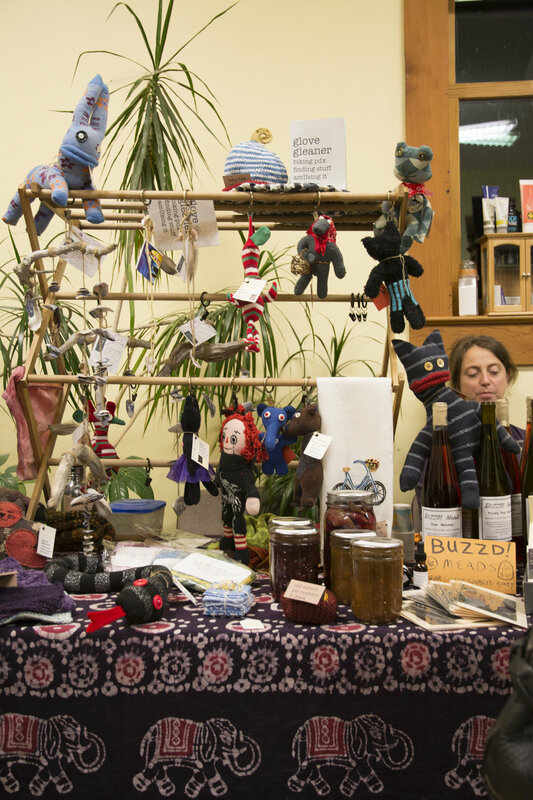 We’re hoping for a diverse array of offerings, and are inviting potential vendors to apply for the Winter Craft Fair by Wednesday, October 24th. If you are interested, please apply! If you have any questions or concerns, please email gabi@peoples.coop. It’s Co-op Month, the best time to invest! Member-Owners are the reason that our Co-op exists. From the very beginning, People’s has been formed and molded by folks that saw a need to put in the time, work, and money to make this place get started and keep going. Member-Owner investments in the Co-op mean that we can tend to the needs of our space, our business, and our community. We’re able to keep this special kind of business going because of all of the people that show up and invest in their belief in an alternative and the difference People’s offers. Every year during October, we take a moment to appreciate the work that we all do to keep this place going: whether that’s shopping, working, or purchasing a share of the Co-op. → Be one of the first 50 folks to invest in your share, and you’ll get a free bottle of Dr. Bronner’s! → We’re having a 10% off sale on October 20th! Let’s celebrate Co-op Month by saving on all our favorites, and maybe even trying something new. → Join us for a screening of the film Food for Change all about the history of co-op’s in America on Saturday, October 13th at 7pm! We’ll have popcorn and time afterward for discussion. → Get to know other folks here! Come to the Co-op Community Potluck on Tuesday, October 30th at 6:30pm. All you have to do to become a Member-Owner or invest in your share is to ask a cashier next time you are at the Co-op. It’s quick, convenient, and you’ll get to go home with a bunch of great stuff! If you’ve already invested $180 (the full cost of a share), don’t worry! You can invest up to $300 in the Co-op and still get all of these great incentives. Those extra dollars mean a lot here! Invest & Win: Bags from North St.! This Co-op Month, we are thrilled to be offering a few special prizes for folks that become a Member-Owner or make an investment in their share throughout the month of October. There are already some great incentives for investing this month (you can read more about them here), but in with the chocolate bars, reusable produce bags, and other prizes will be three golden tickets: one for a skillet from Finex, another for a People’s tote bag stuffed full of our favorite fall essentials, and another for a pair of bags from North St. Bags. North St. Bags are made a quick bike ride away in Ladd’s Addition near Hawthorne Boulevard. Owner Curtis Williams started the company from his basement in 2009 with one industrial sewing machine and the desire to make a super functional pannier that could be converted into a backpack. Without any significant sewing experience, it took a while to get the design right, but since then Curtis has grown the company and the product line to include a range of panniers, bags, backpacks, and more. A tour of the North St. Bags show room and work space. The entrance to North St.’s show room and work space. The North St. Bags show room. The cutting table in the North St. Bags work space. The North St. work space. One of the sewing machines where the North St. bags are sewn together. While the company has grown, the commitment to making bags in house from predominantly materials made in the USA has stayed the same. Bags from North St. are also made to order, and customers get to pick their color schemes and other details whether they’re ordering a fanny pack or a pannier. North St. bags also carry a lifetime guarantee, and the nice folks there can handle all kinds of repairs. During Co-op Month, one lucky Member-Owner will find a golden ticket in with their other incentive that is good for their choice of either a pair of Gladstone Grocery Panniers or two Tabor Totes with a matching Pittock Pouch. The Tabor Totes in the large and regular sizes make the best diaper bag, gym companion, or grocery shopping tote. They are super durable, made from 1000 Denier CORDURA® nylon. The matching large Pittock Pouch help to keep your bag organized and small items from getting lost in the bottom of your bag. The Gladstone Grocery Panniers are perfect for running errands, picnic rides, and trips to the farmers market. Made with 1000 Denier CORDURA® nylon, these panniers can stand up to the Portland rain and look great doing it. Come by the Co-op to become a Member-Owner or invest in your share, and with any luck win some of these terrific bags! Invest & Win: A Finex Cast Iron Pan! This Co-op Month, we are thrilled to be offering a few special prizes for folks that become a Member-Owner or make an investment in their share throughout the month of October. There are already some great incentives for investing this month (you can read more about them here), but in with the chocolate bars, reusable produce bags, and other prizes will be three golden tickets: one for bags from North St. Bags, another for a People’s tote bag stuffed full of our favorite fall essentials, and a cast iron pan from Finex! Finex was founded by Mike Whitehead in 2012 after his wife started throwing out all of their nonstick cookware. He couldn’t find a suitable, healthier replacement on the market, but became obsessed with vintage cast iron skillets from the 1940s and ‘50s and decided to start making the pan that he had been looking for. Finex set out to recreate the classic 12-inch skillet and tried a lot of different designs, ultimately settling on a unique octagonal shape and coiled handle. The octagonal shape a big advantage: it eliminates the need for a pour spout on the side of the pan. You can easily pour from any of its eight corners, while a lid will still fit tight without releasing steam or heat to help your cooking. The squarer sides can also make flipping food over easier if you use the corners for leverage. The coiled stainless steel handle doesn’t get hot and cools faster, making the pan easier to handle. The finishing and seasoning of the Finex pans also makes them something special. They are crafted in a way that gives them the same nonstick sheen of old cast iron pans, and lightly seasoned with organic flaxseed oil for a perfect cooking surface and an almost golden sheen. The pans are all polished by ceramic stones (check out the video on your right), and then tossed in oil-coated birdseed for the perfect application. Finex pans are made in the USA of pure iron, just like the vintage cast iron that Mike was originally ogling. Each pan passes through the factory here in Portland to be polished and assembled, with most of the components coming from within 25 miles of the Portland factory. Each 12-inch pan has four parts that have to be assembled by hand. A tour of the Finex factory in NW Portland. The Finex factory and its many windows. The coils for the handles before the pans are assembled. Finex pans waiting to be polished, seasoned, and assembled. Polished pans waiting to be seasoned. Pan seasoning in process, in a cauldron with birdseed and flaxseed oil. A stack of pans and lids ready for shipping! Another great thing about this special cast iron is that you can really beat it up and still return it to fantastic working condition. Scorch it, scratch it, or even leave it to rust, but with some good oil and a little elbow grease you can fix it back up and have it ready for cooking again in no time. Finex pans also come with a lifetime guarantee, and are made to be passed down from generation to generation. The helpful folks there will help you with any pan challenges that you come across. Come by the Co-op to become a Member-Owner or invest in your share, and with any luck win a lifetime of cooking with this awesome cast iron! I enjoy cooking in cast iron on the stove top, but I also love baking in a skillet. This cornbread recipe makes use of delicious local fresh corn that we currently have in the produce department, as well as the terrific cornmeal and polenta from the bulk section. I love this cornbread with the savory flavors of jalapeño and onion, but leave them out if you would rather slather your cornbread with honey or jam. ¼ of a red onion, sliced as thin as you can! Heat your oven to 400°. In a medium bowl or 2-cup measuring cup, stir the polenta and buttermilk together. In a separate, large bowl, whisk the cornmeal, flour, baking powder, baking soda, and salt together. If you are adding the cheese, stir it into the dried ingredients. Stir the eggs into the buttermilk and polenta mixture, along with with the sugar, corn, and/or chives. Meanwhile, melt your butter in your 12-inch skillet in the oven. Once it is melted, add all but 2 tablespoons to the polenta-buttermilk mixture. If you are using olive oil, add 3-4 tablespoons of room temperature oil to the polenta-buttermilk mixture, and heat 2 tablespoons of olive oil in the skillet. Add the wet ingredients to the dry ingredients and mix carefully until the dry ingredients are just moistened – don’t overmix it! When the butter or oil in the skillet is hot, pour the butter into the skillet. It should sizzle a bit! Sprinkle the top with jalapeño, onion, and cheddar cheese. If you want a spicier cornbread, add the whole jalapeño or mix some into the batter with the wet ingredients. Bake for 15 minutes, or until a toothpick comes clean out of the middle and the cornbread is firm. Slice the cornbread and eat up! Stir the water and flax meal together in a small bowl. Let rest for five minutes, and then use in this recipe! Invest & Win: People's Fall Essentials! This Co-op Month, we are thrilled to be offering a few special prizes for folks that become a Member-Owner or make an investment in their share throughout the month of October. There are already some great incentives for investing this month (you can read more about them here), but in with the chocolate bars, reusable produce bags, and other prizes will be three golden tickets: one for a skillet from Finex, another for a pair of bags from North St. Bags, and another for a People’s tote bag stuffed full of our favorite fall essentials. (For winners 21 and over!) 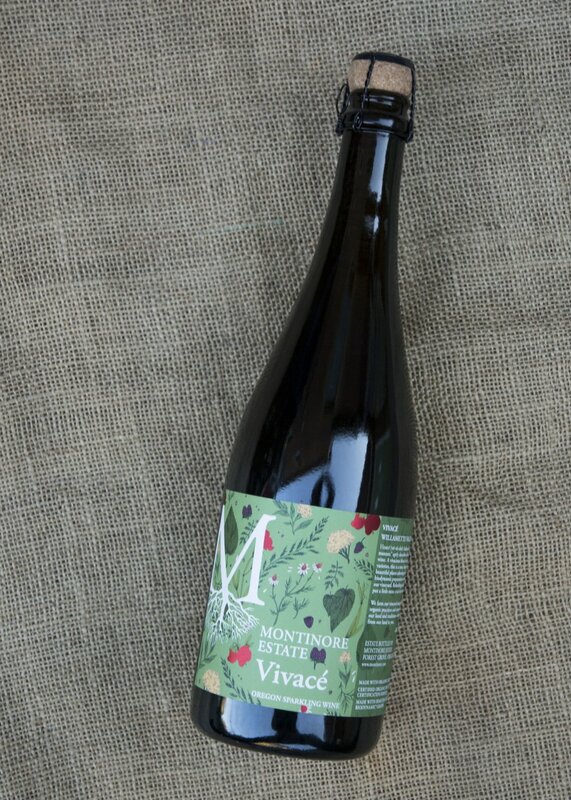 Montinore Estate makes fantastic wine from grapes grown biodynamically in the Willamette Valley. This Pinot Noir pairs perfectly with the rich soups, stews, and cheese that you might be eating as the days get colder. You can read all about Montinore here. This delicious, organic granola from our bulk section is loaded with raisins, cherries, cranberries, and mulberries which make it a very nice way to start the day. Sweetened just with maple syrup, this granola is just sweet enough. The oats are gluten-free, too! These cough drops are essential any time I have a cold or are congested. They are super tasty, sweetened with honey, and have just enough of a menthol touch to clear out the sinuses. It wouldn’t be fall without a few of these kicking around the bottom of my backpack. This bar shampoo, made by Camamu in Sellwood, smells delicious and has the nice tingle from added citrus. Bar shampoos are great for travel (they aren’t liquid, of course) and are beloved by zero waste folks for being plastic free! This keemun black tea is highly scented with fresh organic rose petals. It has a wonderful rosy fragrance and a subtle and rich taste. It is good both hot and iced and should not be missed! A lot of my time in the fall is spent drinking tea. I always crave the warming spices of chai when the weather gets colder, and this rooibos chai is caffeine free so I can drink it all day without getting the jitters! It’s also delicious. It wouldn’t be fall without a few winter squash-filled meals, and these local, organic squashes are super delicious. We’re including a couple of varieties that are particularly delicious roasted, but also make awesome soups, salads, and pies. Pecans are usually delicious, but these are something else. They are extra crunchy and salted just right. The pecans make an awesome snack by the handful but are also delicious on salads (or anywhere else you can imagine them). Ayres Creek is a very special farm located in Gaston, Oregon. All of the crops that they grow are incredible but they are particularly well known for their fruit crops. Ayres Creek partners with local Sweet Creek Foods to turn their delicious fruit into very delicious preserces. I love a dollop in my morning oatmeal this time of year, and of course its terrific slathered on toast. You can read more about Ayres Creeks preserves here, from farmer Anthony Boutard himself. The bag is also super cool! It’s sewn and printed by women's cooperatives in India by Re-wrap with an awesome design from local artist Lettie Jane Rennekamp. It’s sturdy enough to carry all of your groceries and even has a pocket! Learn more in our Spring 2018 Grassroots. Come by the Co-op to become a Member-Owner or invest in your share, and with any luck win an extra terrific prize!